With our people in mind Della Nicholson Accounting has entered a new era and has proudly joined with William Buck Queensland. It is an exciting move as it will allow us to provide you with a broader range of services and expertise but at the same time mean that we can continue to deliver what we have always done in our friendly, professional manner. Why William Buck? In one word, ‘values’. William Buck prides itself on a personalised approach by maintaining a close relationship and understanding of their much valued clients and their businesses. This care for clients was the driving ethos underpinning the work we did at Della Nicholson Accounting and means our team can continue this approach to our advising our clients from our new home at Level 21, 307 Queen St, Brisbane. 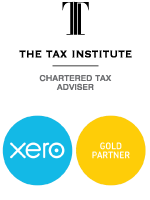 We offer a range of traditional accounting services plus some modern ones as well. We specialise in annual reporting & compliance, taxation advice & consultancy, small to medium business advisory, business structuring & asset protection and cloud based business software. Everyone who enjoys working with people that love what they do and have the desire to do it well. Whether you are an individual, retiree with super, small or medium business we are here to help. Our small to medium size business clients operate across a range of industries. Our clients include medical practices, mining, environmental & civil engineering firms, property investors & developers, builders, real estate agents, software developers and IT consultants, hospitality including cafes, restaurants and hotels, law firms, tradies, franchises, artists, e-commerce & traditional retail businesses to name a few. We provide education, solutions and advice to simplify the complex, share our knowledge to improve your knowledge and help to do things better, smarter and more efficiently. We pride ourselves on caring about our clients and believe this relationship is something that should be nurtured, respected and never taken for granted. We value our clients and hope that they value us just as much in return.